Summer is around the corner! 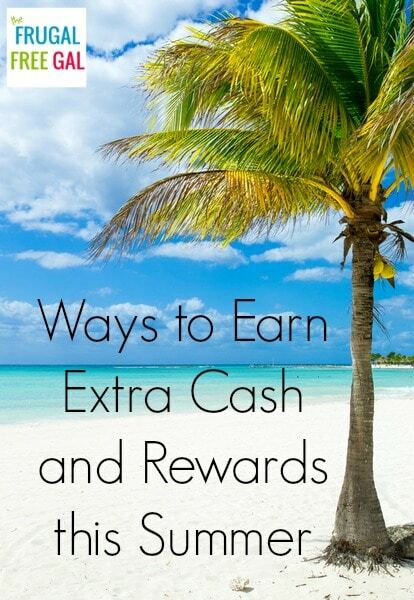 If you are in need of making extra cash and rewards, check out this list below! Companies and brands need feedback from YOU and by completing surveys or even doing simple tasks such as shopping online, you can start working towards earning real cash and rewards. Every bit adds up! Browse through the list below and choose the ones that are right for you to start earning today! Survey Junkie – Take surveys. Get PAID. Be an influencer. Share your opinion to help brands deliver better products & services. Vindale Research – Get paid to review products. Join the finest minds in consumer research and change the world one product at a time. Share your unique opinion and get paid for it! Participation required. Earn $5-$75 Per Survey! Inbox Dollars – Pays members to read emails, take surveys online, play games, and go shopping! New members also receive $5 just for joining. Swagbucks – Earn 1,000s of free prizes, for doing the things you do every day – like PayPal and Amazon gift cards, toys, clothes, collectibles, games, electronics and more. Ibotta – Earn cash on everyday purchases. Join to claim your $10 welcome bonus! Checkout 51 – Buy groceries, earn cash back. Sign up to start saving on brands you love. Earn $5 cash back every time you refer a friend and they redeem their first offer!